Want to add a stunning focal point to your landscape? Or, perhaps, you want to bring a little bit of that tropical vacation feeling to your home. Palm trees are a staple in southern California and the perfect choice for adding value to your home as well as creating a beautiful view. Palm trees are iconic with their spectacular silhouettes and they radiate star power. 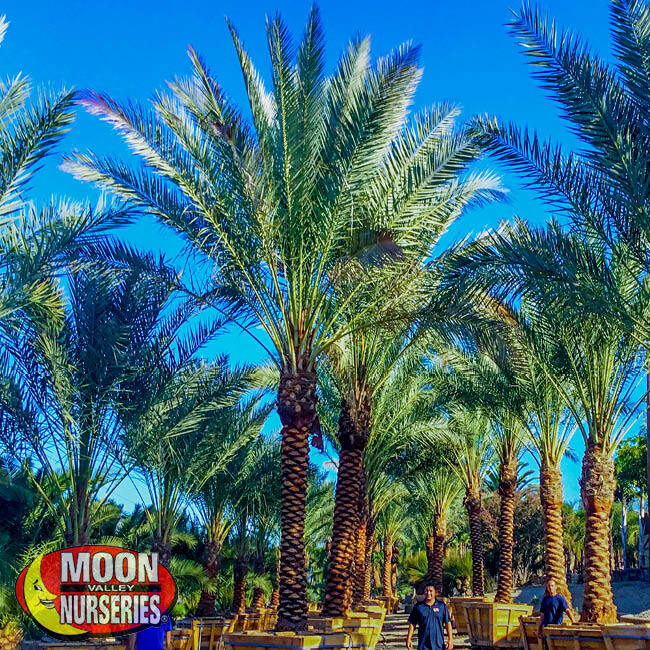 At Moon Valley Nurseries, we custom grow our palms to thrive in our local California area – meaning they are the best you can find. 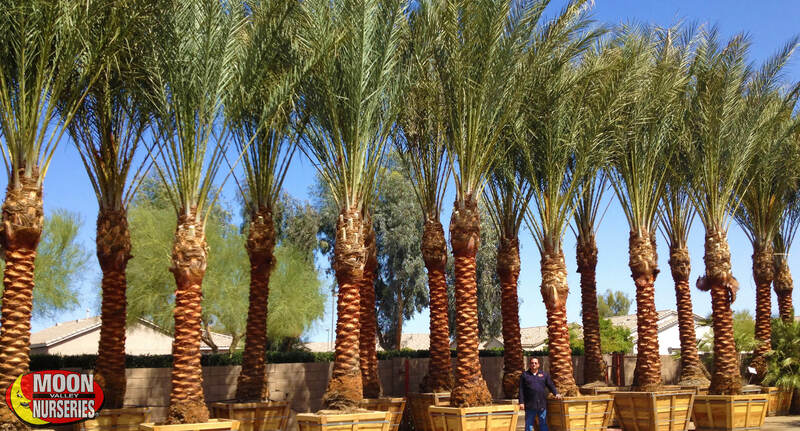 Below are our top five palms that are perfect for any SoCal landscape. 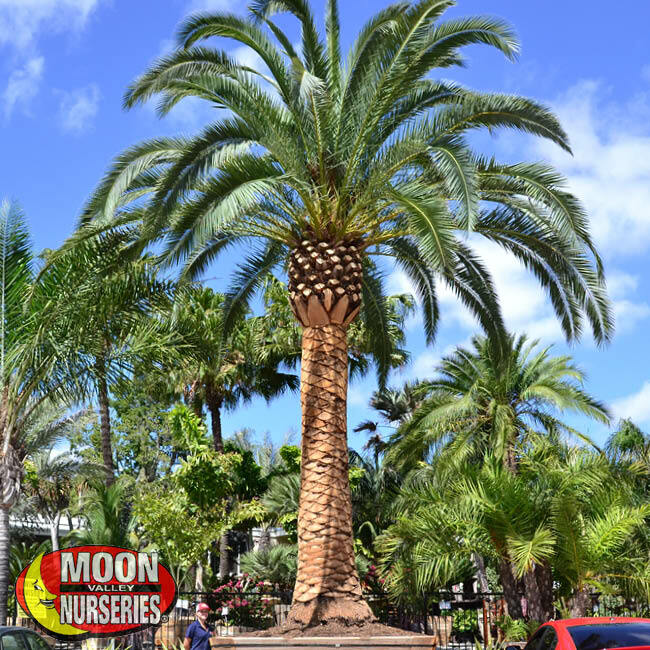 Kentia Palm: These beauties are found in luxury resorts and planted around swimming pools adding value and curb appeal to front yards and backyards throughout Southern California. They are a common sight in our area, often seen planted in rows along coastal areas. Kentia Palms feature deep green fronds that arch outward from the crown, creating a tropical canopy we can all appreciate. They are very adaptable to a wide range of soil conditions. Kentia Palm care is easy because it is one of the cleanest palm trees, requiring little pruning. Some say they look best skinned, where its mottled trunk looks amazing with landscape lighting. King Palm: What’s not to love about King Palms? It’s clean look, multi-colored trunk, and dark green fronds make it a stunning addition to any landscape across SoCal. The King Palm’s trunk is smooth with a lime-green crown shaft. As the palm grows, the oldest fronds pull away from the trunk, exposing the brown trunk underneath with growth rings. This palm also produces seasonal purple flowers; this palm has all the color you could want! Our palms are extremely hardy, drought resistance, and require minimal water. Use them as a wow factor or plant them in rows as a lush, vibrant backdrop to your landscape. Pineapple Palm: Also known as the Canary Island Date Palm, it is characterized by its dense canopy of dark green fronds, a stout trunk, and a pineapple-like crown – where the name Pineapple Palm came from. The distinct diamond pattern on the trunk lends to its majestic look. This low maintenance and slow-growing palm loves full sun exposure and warm climates, just like what we have in Las Vegas! When planted in groups, this palm provides a nice shady spot. No matter the size you get, this palm is sure to bring a majestic presence to any landscape. Pineapple Palms will add long-lasting character to any landscape. 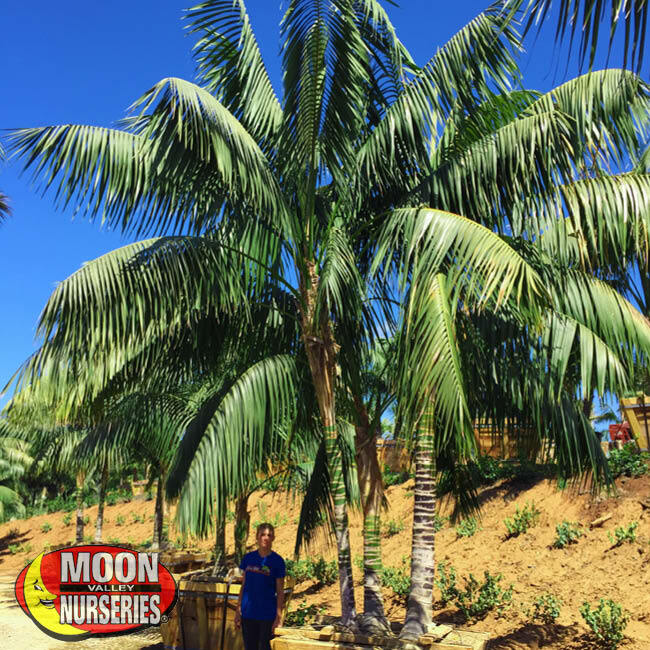 Piru Queen Palm: Our Piru Queen Palms are grown from superior seedlings with better genetic traits, so you get the hardiest palm you can find. 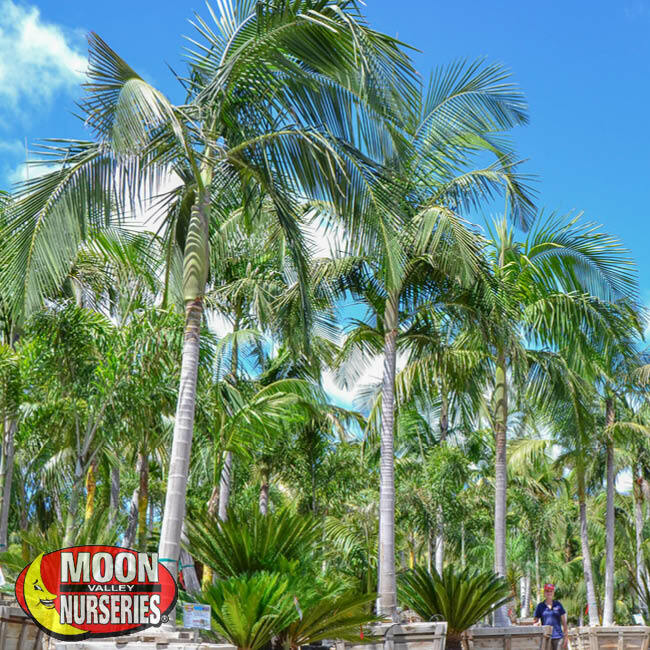 These palms are heat tolerant and feature dark green palm fronds and a fuller crown which provides shade. These are low-maintenance trees that can fit into any landscape style. They are also prized for having a look that complements all styles and types of landscapes. Add curb appeal by planting them in the front yard as a focal point or lining a driveway, creating a grand entrance. Our Queen Palm is perfect to create a tropical paradise around pools and backyards. Make them even more stunning by adding nighttime lighting! Date Palm: A great addition to any landscape, Date Palms bring the look and feel of the upscale resort. Ours are certified disease-free. We love planting them around swimming pools, where their reflection can be admired in smooth water. Uplighting creates a stunning silhouette against light colored walls and adds nighttime drama in any landscape. We also love to plant these palms in groupings and line them up along a long driveway or create regal accents by using staggered heights. Date Palms are also the perfect specimen for landscaping larger areas. Planting them in groups and rows creates a cool canopy of shade, a welcome relief from the sweltering heat and harsh sun. Now’s the time to start planning for the fall planting season. 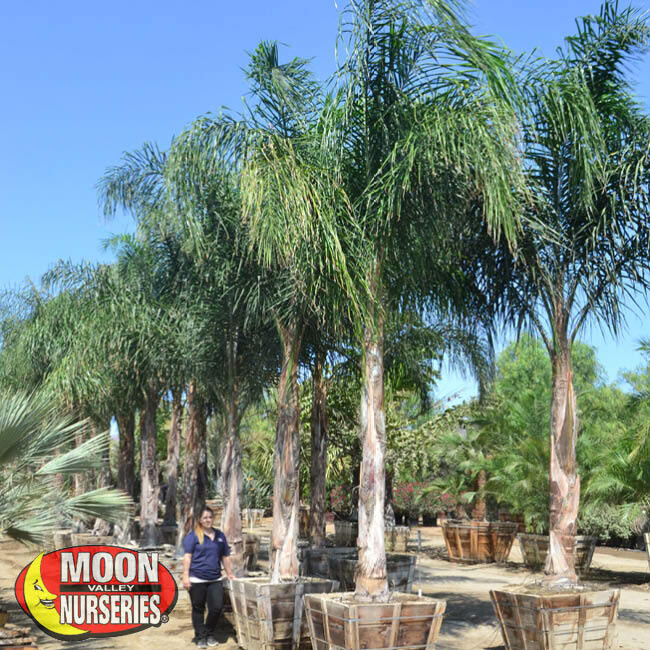 Visit your nearest Moon Valley Nursery location to select the perfect palms to update your landscape and book your fall planting date! Or, go check out our Palm Paradise location – home to 1000’s of rare and exotic palms. While you’re there, don’t forget to pick up some Super Palm Juice to help your new or existing palms to flourish in the fall season and recover from the summer stressors.